Who doesn’t like a latte in the morning? But the lines at Starbucks are long, and you’re interested in making your own macchiato. Not to mention your weekly coffee budget is starting to look like a coffee black-hole. 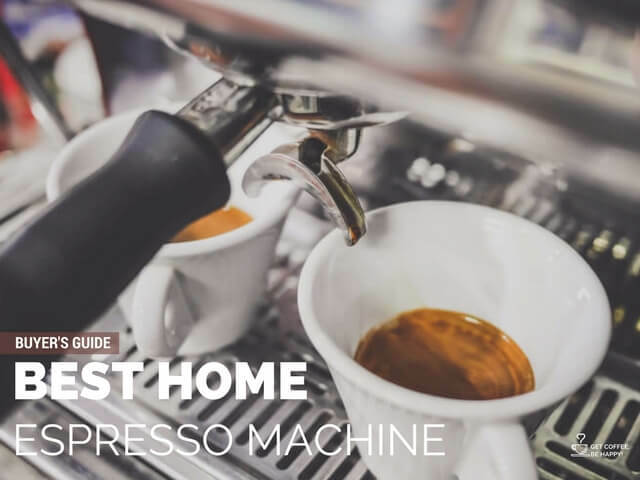 So you’ve done what any self-respecting latte-lover would do: Decide to get an at-home espresso machine. This is a sleek-looking but heavy-duty home espresso machine that caters to those who want convenience. Super customizable! Even the pickiest of coffee-lovers won’t be disappointed. Convenient maintenance: the water tank, coffee bean container, grounds disposal, and drip tray are all accessible from the front. It takes up a fair amount of counter space. It’s almost like the size of a microwave. Only one kind of steaming/frothing wand. A cappuccinator wand is used to froth milk while a Panarello wand is used to steam it. The difference is subtle, but it does affect how well you can make a specific drink. The Gaggia Brera comes with the Panarello and it can’t be swapped out. 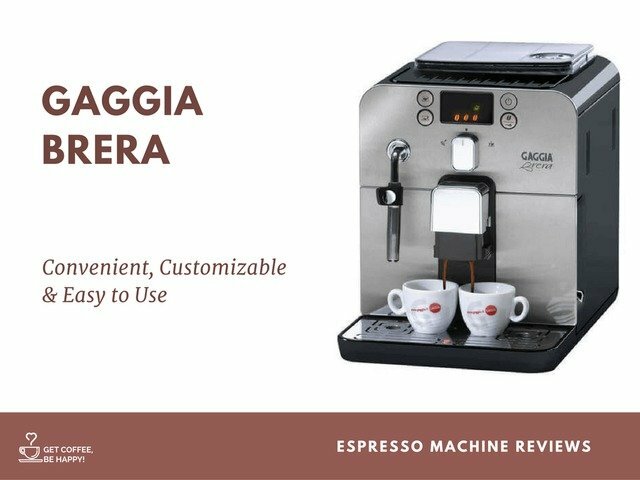 The Gaggia Brera is a luxurious espresso maker and comes with a lot of neat features. It’s convenient and customizable to maintain and use. It’s a high-class machine but I’ll be honest; it is not budget-friendly. I wouldn’t recommend this for a casual espresso-drinker. The Gaggia Brera is like having a little piece of Italy right on your countertop. The company’s founder patented the first espresso-maker in 1938 and has been one of the largest commercial retailers worldwide. It says a lot if world-class aficionados have been loyal with a company for over 60 years. While it is highly-customizable, it’s not confusing to use. The interface display is large and color-coded symbols make it even easier to program to your specific taste. However, I hope you only have one picky latte-drinker in the house! You can only save a program for one person or style. Caring for the machine itself is incredibly easy. The Mavea Water Filter uses four stages of filtration, so scale build-up won’t be a problem. Forgetful about cleaning? No problem! Not only does it alert you when it needs to be cleaned, but it also has a self-rinse cycle. This type of machine is not suited for beginners. The 15 pump pressure style makes it easier to create the best kind of shot, but it is not guaranteed to. You can still use too much pressure if you are not used to it. Too much pressure makes thick, overly-bitter shots. It takes some practice to perfect! Those with a sensitive palate will be disappointed by the fact it only comes with the Panarello wand. Steamed milk is slightly different than frothed milk. While you can make any kind of latte or macchiato, your cappuccinos won’t be nearly as “fluffy” as you are used to. Mavea Water Filter: no more gross build-up! Low Energy Consumption: the machine turns on standby mode after one hour of idle time. 250-gram airtight, UV-proof Coffee Bean Container: your coffee stays fresher, longer, when protected from UV light. Automated Alert System: notifies you when the water tank needs to be de-scaled. 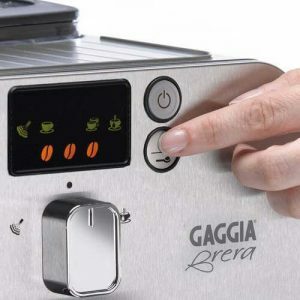 The Gaggia Brera is one of those products that makes me feel luxurious just looking at it. It’s sleek and is bound to impress your friends. If you’ve got some disposable income, this machine is for you. It’s a high-quality machine, but keep in mind you are paying for the brand. This product is great for the weekend espresso lover who knows exactly what they want. Even better: you don’t have to fiddle with all of the parts of a more complex machine! Convenience and automated systems make for easy use and maintenance. 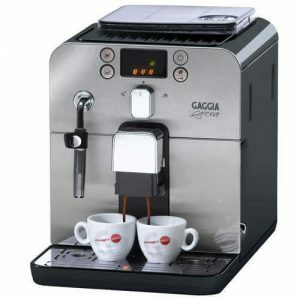 The Gaggia Brera is perfect for those who want to step up their espresso-making game.